The Fair Work Commission decided on 23rd February 2017 to reduce the Sunday pay rates for some workers in the retail, fast food, hospitality and pharmacy industries. 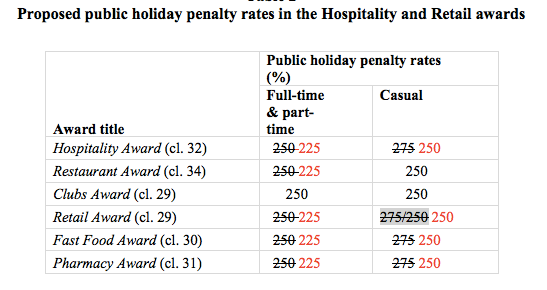 Changes will also be made to the public holiday penalty rates for workers in the Hospitality and Retail Awards. There has been no announcement yet as to the timeline, but early information suggests the new rates will begin from 1st July 2017. These changes do NOT apply to all workers in these industries. 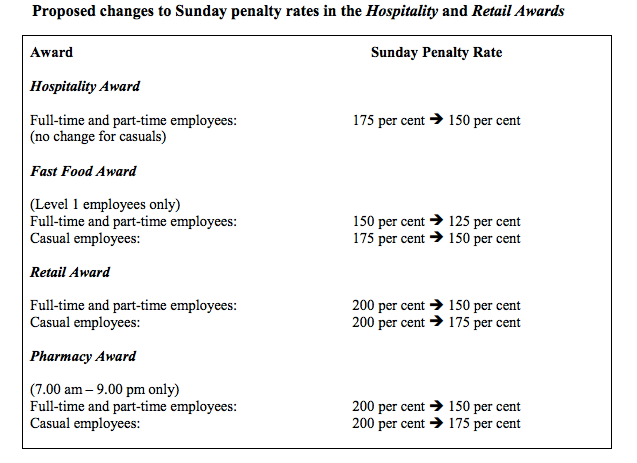 You should review your Awards to ensure you are paying the correct penalty rates for all employees.